How to add Event Organizer Information? With Update 2.4 you now have the option to add the event organizer information. 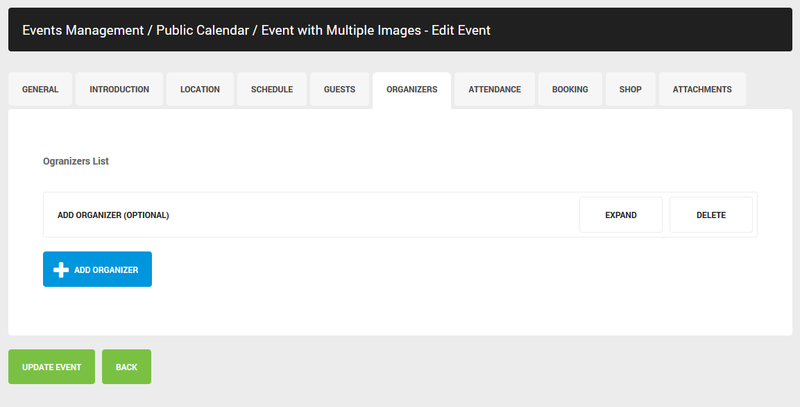 To do this simply go to your Dashboard -> Events, select the event you want and you will see there is a new tab "Organizers".